Use one remote to control all of your peripherals, including audio, video, and home theater. Your TV becomes a seamless interface that allows you to access and regulate your whole home. 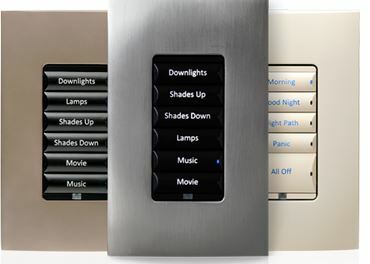 Control 4 also offers the ability to adjust lights, shades and temperature, with one touch, to create the desired room ambiance for your movie night. Lock and unlock from anywhere – using 4Sight with Anywhere Access and a smart door lock, you can lock or unlock your door(s) from your phone or tablet. Go key-free – all Control4 compatible door locks include keypads or touch screens where you can enter your unique access code. Let the right people in – give visitors their own code that only works when YOU are expecting them. Setup individual user codes with specific access times. Keep tabs on the comings and goings – receive text messages to confirm when junior arrives home. 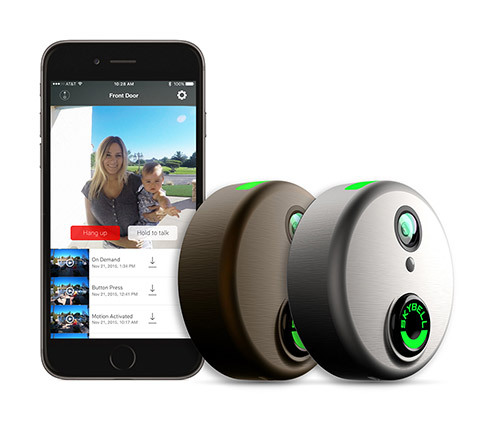 View door lock history and get alerts when people come and go. Secure your home with one touch – put your house to sleep securely with the touch of one ‘Goodnight’ button. Set the lights to automatically turn on when you come home. Program your lights the way you want them — to come on at sunset and click off at daybreak or program them to imitate your lighting usage when you’re away, creating the illusion that you’re home. Never come home to a dark house. You can have a lights automatically turn on when you unlock or enter, or even create a pathway of light to guide you into your home. Another convenient feature is a “good night” scene, which turns all the lights off in the house at once, even allowing certain lights to gradually dim to 10% for the kids. Save energy by setting Control 4 to turn off lights when a room is left unoccupied for a specified amount of time. If you want to save more energy, set your lights to 80% maximum. There’s little noticeable difference, but your electric bill will be considerably smaller. With a simple installation process, your musical dreams can become a reality in only a few hours. Control 4 brings the music to you, no matter what room you’re in. Access your music anywhere — Whether your music is stored locally or accessing a streaming music service, you’ll have access to your music anywhere, anytime. Target your musical style to specific rooms, allowing you to listen to Bach in your reading room, Aerosmith in the living room, and Katy Perry in your teen’s bedroom. The best part is, it can all be playing at the same time! Every year nearly one million families have their homes ruined by water damage. These unexpected incidences can result in costly repairs. 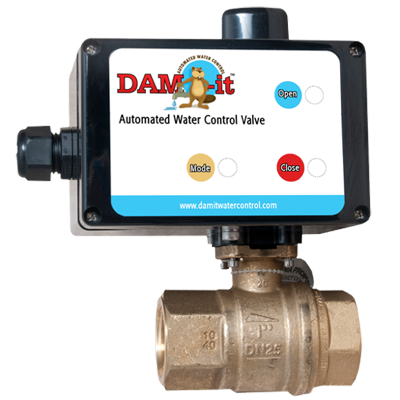 Protect your home with the DAM-it water control solution. DAM-it works with your Control4 Smart Home system to continuously check for leaks and be ready to shut off the water supply at a moment’s notice – even when you are away from home. Contact Secur-Tek for more information on how to install this option.